I have a number of dealers who want to sell my products on their stores and drop-ship through me. Rather than get stuck re-typing 50 or more orders per day, I need a way to import those orders. I realize that importing orders also means reconciling the product list, customers, etc., but surely it can be done. The dealer will provide the order data in whatever format I want. Has anyone else done this? How do other people deal with drop shipments? I thought that I'd simply import the orders into ShipWorks rather than my store but ShipWorks has no such feature and the developer has no interest in providing one, even for a fee. Last edited by bvelke; 09-13-06, 12:46 PM. Due to the database structure in MIVA Merchant, this is not a good idea. The data for a sale is stored in far too many different places to maintain accuracy and integrity of the databases. You'd be much better off setting up an affiliate program, so your dealers would sell through your store, using their affiliate links. It would quite non-cost effective to try to import orders into MIVA Merchant. They won't do that so I will lose the business. Look into Stonedge OrderManager. This should do the job. Last edited by PCINET - Andreas; 09-13-06, 01:28 PM. 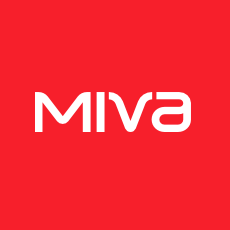 We built over 200 Miva Merchant stores! Miva shopping cart design & integration service and see our Portfolio! As Andreas suggested, you need to do your order reporting in some other system. Merchant is a Storefront E-commerce solution. That is, its meant to take orders through a web interface. Since your dealers are not using the interface, their orders need to go through an alternate interface or process. StoneEdge is one tool, others use QuickBooks or Mail Order Manager and others. You might already have a system in-house. If so, start with intergrating that tool with the emails you recieve. I would also recommend Stone Edge -- you can import the orders and then Stone Edge will tell your Miva storefront that the inventory has been sold and reduce your inventory automatically. It will even send confirmation and/or tracking emails for you automatically. Hello Bob, Why dont you give me a call. I will gladly help you organize those orders and releive all of that redundancy. Check out the following press release. TOTOWA, N.J., September 7, 2006 -- Small business owners seeking to maximize profitability and minimize operating costs turned last week to the MIVA&#174; Small Business Conference to find solutions. Dydacomp answered the call introducing the first and only bi-directional interface with e-commerce application MIVA Merchant. Building on customer feedback and consultation with MIVA at last year’s Small Business Conference, Dydacomp and MIVA created a seamless, fully-automated direct feed from MIVA Merchant to Mail Order Manager (M.O.M. ), Dydacomp’s PC-based order processing and catalog management system. This new interface allows companies not only to export orders from their e-commerce site to M.O.M. but also to push real-time inventory, order status and tracking information back to the site. “Our new interface with MIVA Merchant allows small business owners to manage their online presence, order processing, fulfillment and customer records from one easy-to-use, highly scalable application,” said Albert Realuyo, Dydacomp Vice President of Product Management, “The combination of MIVA Merchant and M.O.M. allows for business growth and the accompanying increase in volume without switching e-commerce solutions.” In addition to the MIVA interface, M.O.M.’s list management capacity allows merchants to collect and use demographic information to increase repeat business and create more effective direct marketing campaigns. “M.O.M.’s demographic tracking is a powerful tool for multichannel marketers,” said John Woodhour, Dydacomp’s Manager of Sales, “For example, a sporting goods retailer can use M.O.M. to ask customers for their favorite baseball team, record the information and create a targeted e-mail campaign for team specific merchandise.” The software solution also is able to generate recurring billing and shipping, allowing merchants to offer club plans that further capitalize on demographic data. "Software Solutions for Direct Marketing and Web Commerce"
I have to object again to your use of that Dydacomp press release. M.O.M. is neither the first (by several years!) nor the only order management system that offers bi-directional data transfer with Miva Merchant. Before you jump into a market and start making claims like that, you should do a little research and avoid making false statements.